The agents of the Strategic Homeland Intervention, Enforcement, and Logistics Division — let’s just call it “S.H.I.E.L.D.” for short, shall we? — are back with the mid-season premiere this week! 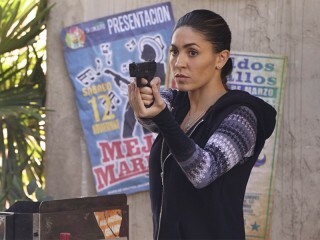 The show has really upped its game in Season Three, and as we enter the second half of the season look for more of Daisy’s “Secret Warriors” team — including the introduction of Elena Rodriguez (Natalia Cordova-Buckley) as Slingshot, the show’s first speedster. Also this week: The Legends team pursues a new lead on Vandal Savage that takes them to small-town Oregon in the 1950s, while on Grimm Nick and Monroe uncover a long-hidden treasure in Germany. 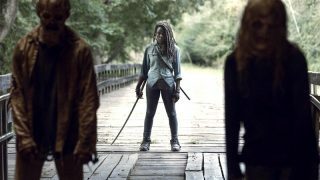 On The 100 Kane must look for a peaceful resolution to the crisis at hand, and on The Walking Dead Rick must negotiate to save two of his people. SUPERGIRL returns with a new episode next week. ABC, 9/8c – MID-SEASON PREMIERE! “Bouncing Back.” In the aftermath of his trip to Maveth, Coulson is more determined than ever to get to Gideon Malick and put an end to Hydra once and for all. Meanwhile, Daisy and the team encounter more Inhumans who have powers like they’ve never seen before, but will they be friends or enemies of S.H.I.E.L.D.? “Night of the Hawk.” The team tracks Savage to a small town in Oregon during the 1950s. Upon arrival, they discover there have been a recent string of murders and they suspect Savage is involved. Professor Stein and Sara go undercover at a psychiatric hospital, where Savage is working as a doctor, to find out his plan. Meanwhile, Ray and Kendra pretend to be a married couple to gain the neighborhood’s trust. 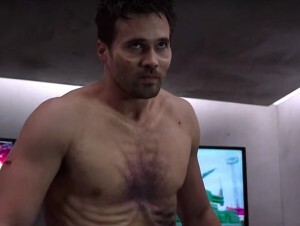 “Terms and Conditions.” Kane is searching for a peaceful way to handle things but soon realizes he may be forced to resort to drastic measures. 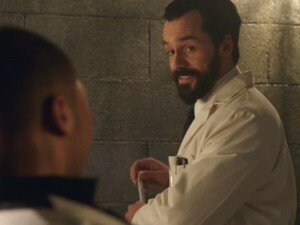 Meanwhile, Pike suspects that there may be a leak within the walls of Arkadia. Lastly, Raven has a plan and reaches out to Jasper for help. “Into the Wild.” On an FBI team-building day, Abbie and Sophie come face-to-face with a monster that may finally blow their cover with Reynolds. Meanwhile, Jenny and Joe find themselves in possession of something precious and Crane discovers that the symbol from the Catacombs may be more important than he realized. “Into the Schwarzwald.” Nick and Monroe find a treasure in Germany that has been hidden for centuries. Back in Portland, Capt. Renard joins Hank and Wu to track down a deadly assassin who has thrown Portland into havoc. Little do they know that Eve is on a hunt of her own for the same man. 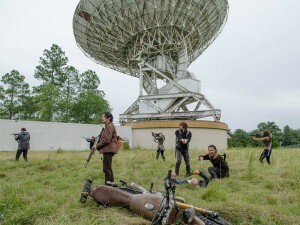 “The Same Boat.” With no hope of safety in Alexandria, Rick and his band of survivors soon discover a larger world with new dangers and new opportunities.